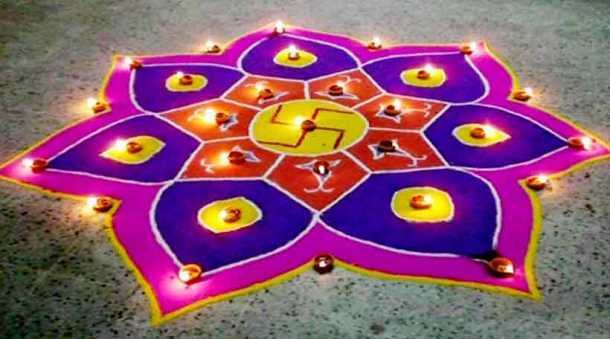 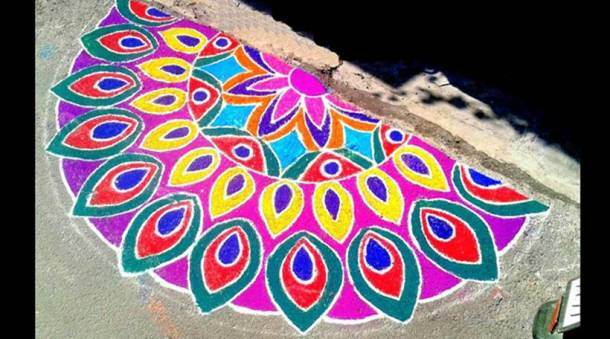 Best, Easy and Simple Rangoli Designs, Images, Art and Patterns for Diwali | Rangoli Kolam: Diwali (Deepavali) is a festival of lights. 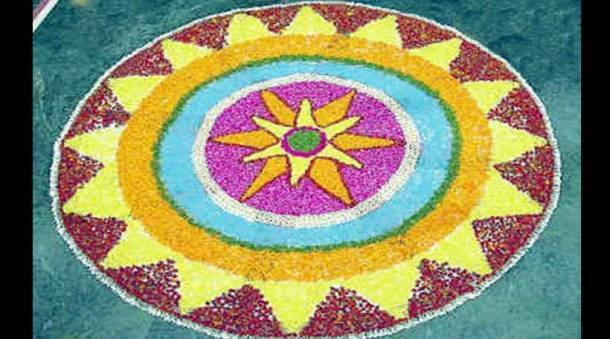 It is the most celebrated festival in India and also in neighboring countries like Nepal, Srilanka, Bangladesh and many others. 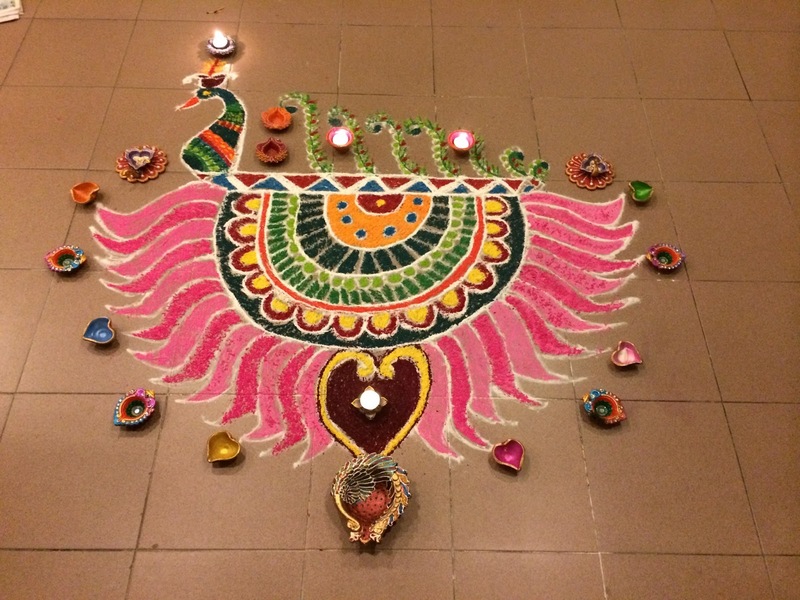 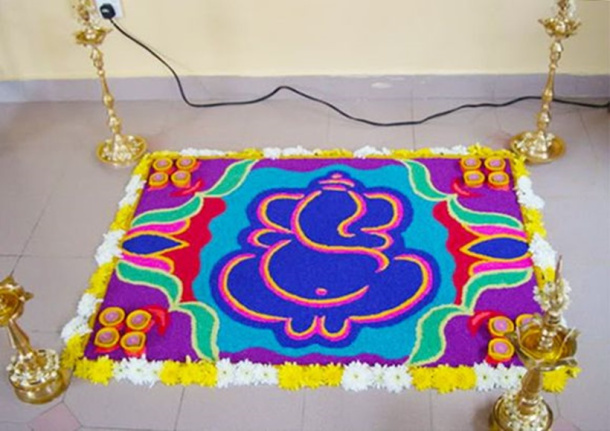 In Diwali people decorate their homes with many things like they light their homes with Diyas and akash kandils (Light lamps), Front yards are decorated with beautiful Rangoli Images.Rangoli designs are also known as Rangoli kolam. The best part of the this, I personally like is the Rangoli on Diwali (Rangoli kolam) which can be seen on almost every front yard of a home. 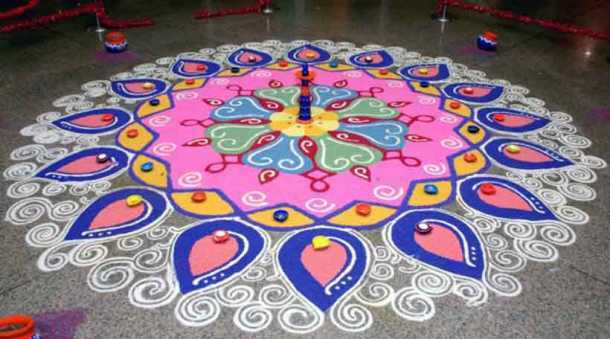 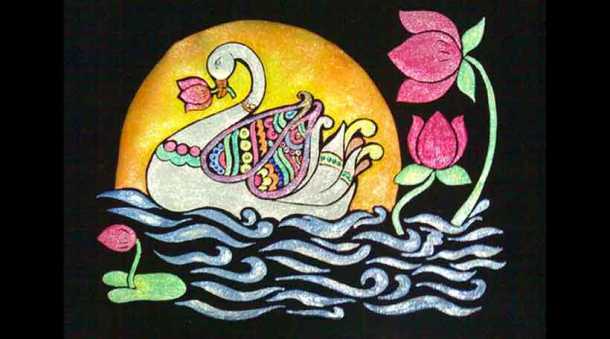 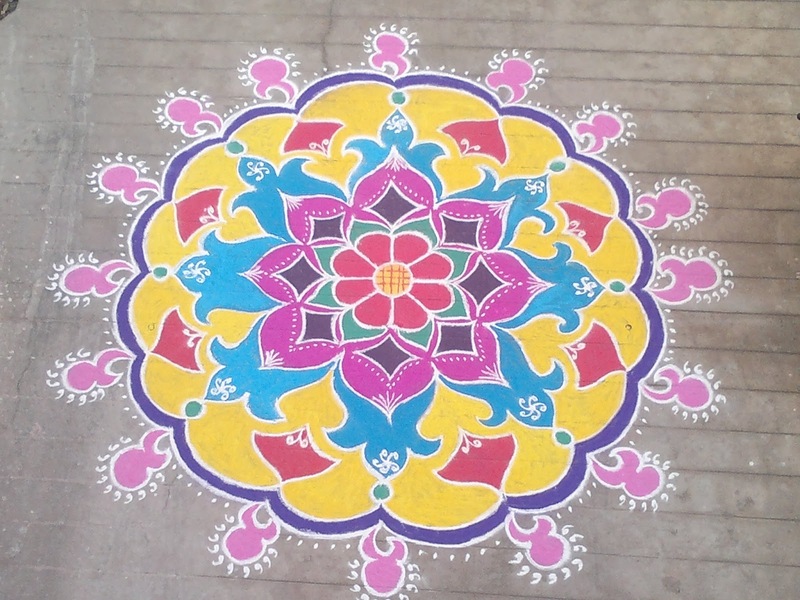 Rangoli is art which is widely famous in countries like Nepal, Bangladesh and mostly in INDIA. 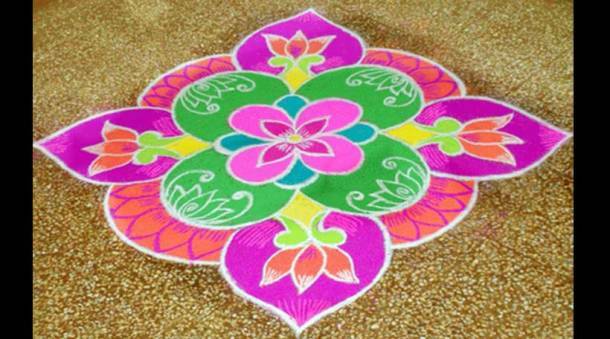 Here I have some latest beautiful rangoli patterns which can be seen in front of every home in Diwali. 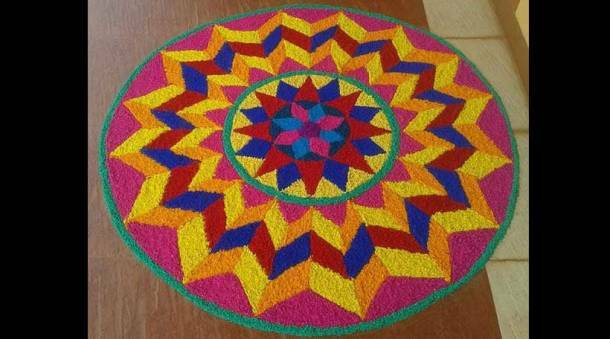 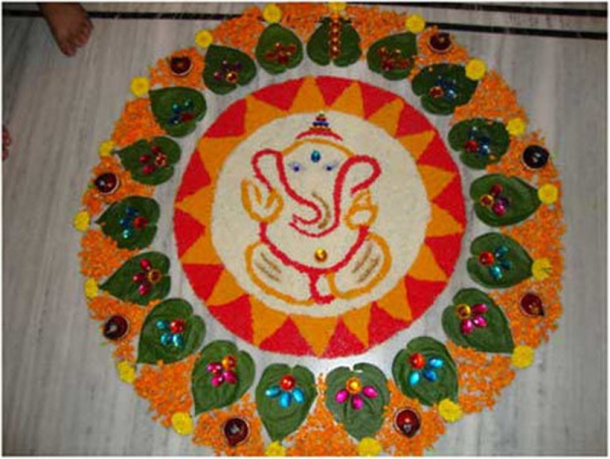 The materials that are used to make a rangoli can be found easily and hence there are available at cheap price. 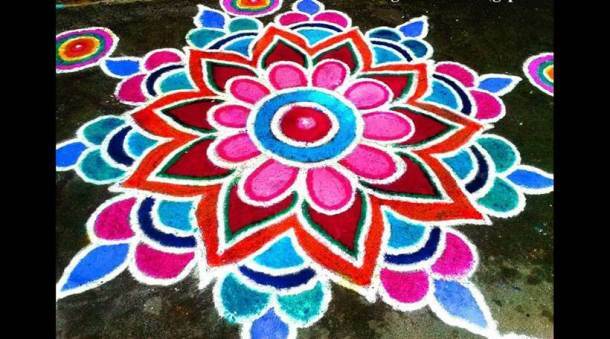 Rich and poor can afford them. A lot of ingredients can be used to design Rangoli and there is no limit for this as new concepts are rising every time. 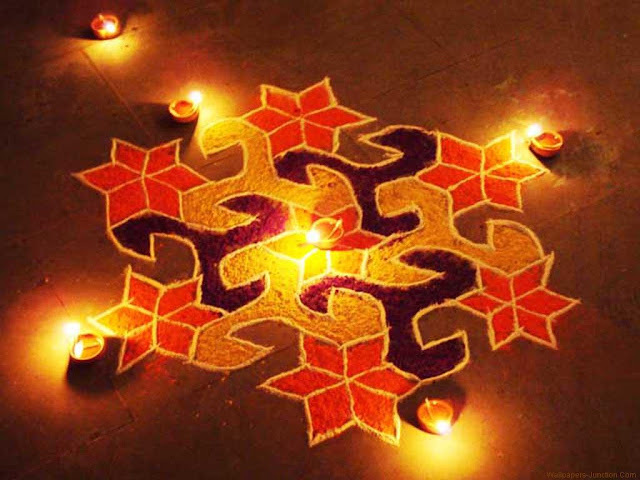 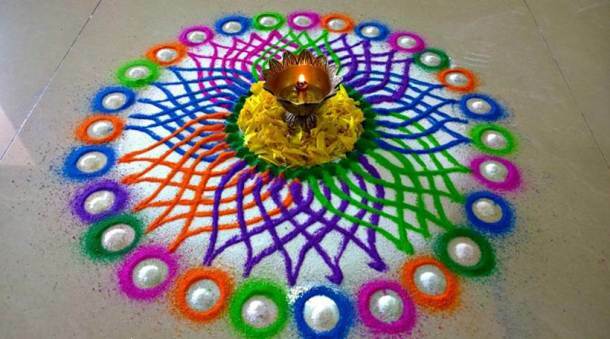 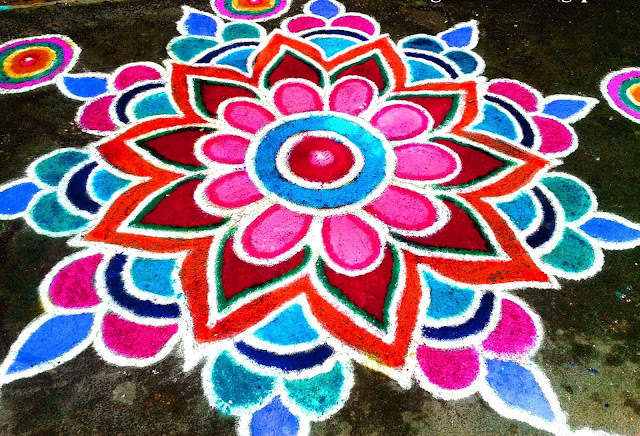 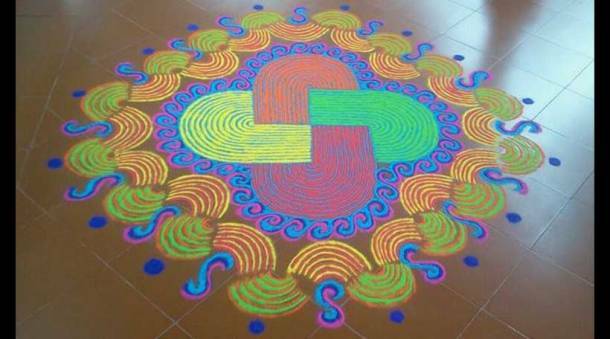 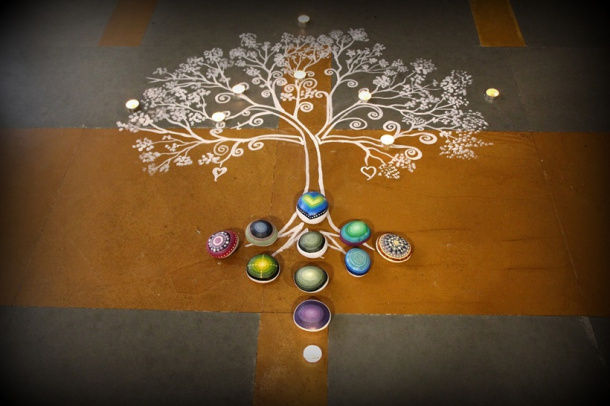 Rangoli colors were traditionally derived from natural dyes like from barks of trees, leaves, indigo, etc. 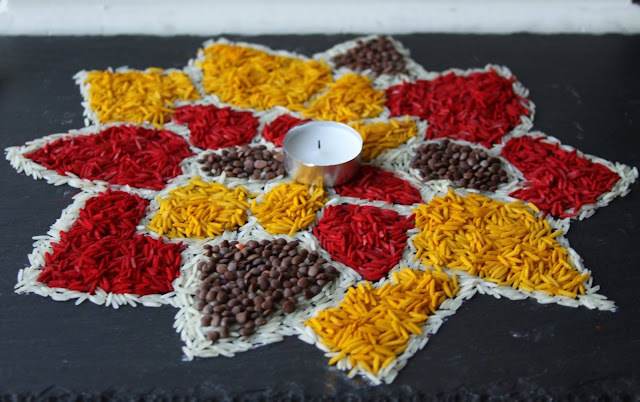 Today, synthetic dyes are also used in a range of bright colors. 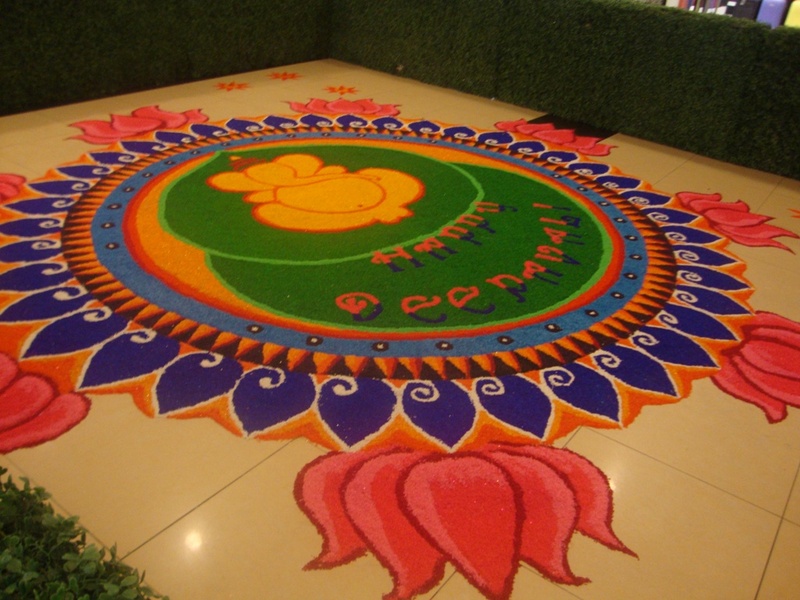 Sometimes colored powder such as rice, chili, turmeric, etc. 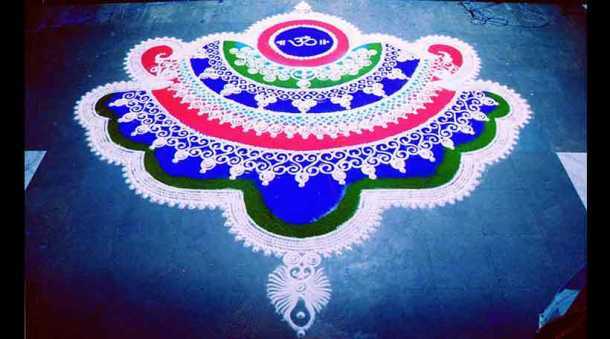 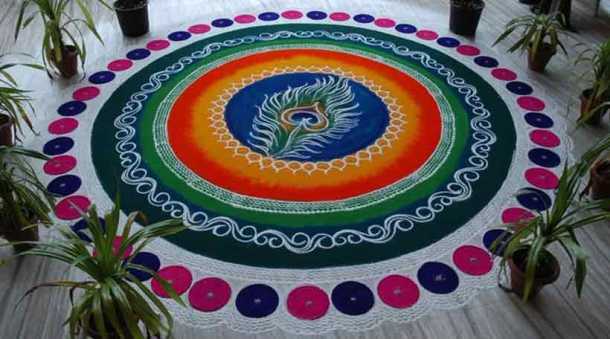 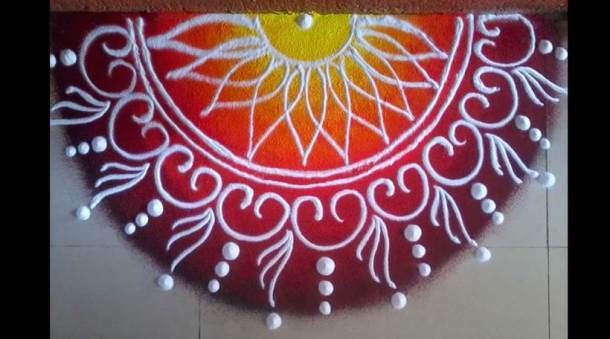 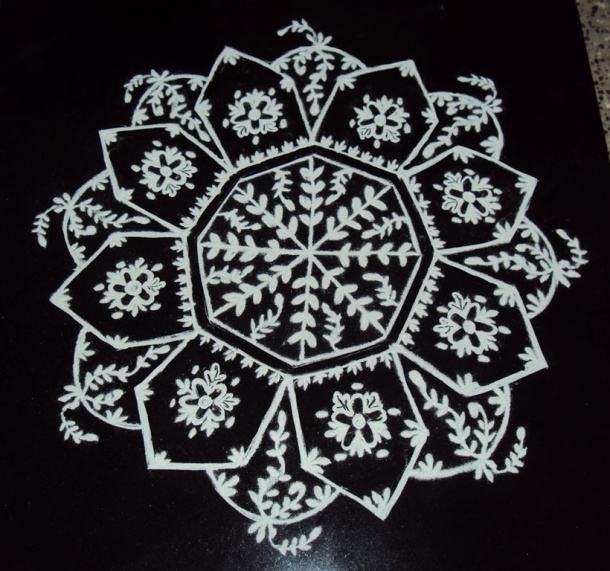 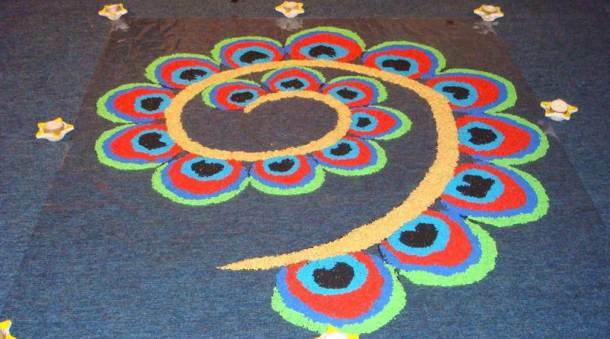 are used to enhance beauty of rangoli. 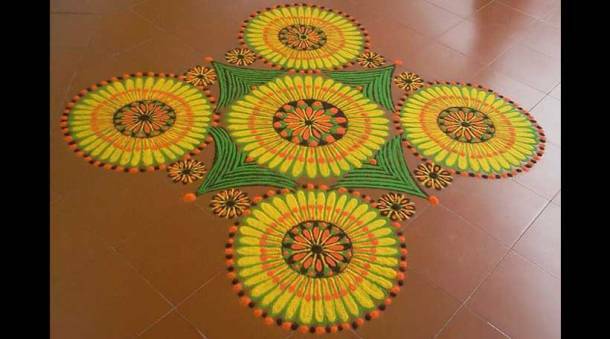 These are used mostly for 2-D Rangoli designs but for 3-D effect in rangolis is achieved when cereals, pulses either in their natural coloring or tinted with natural dyes are used to decorate and elevate the look. 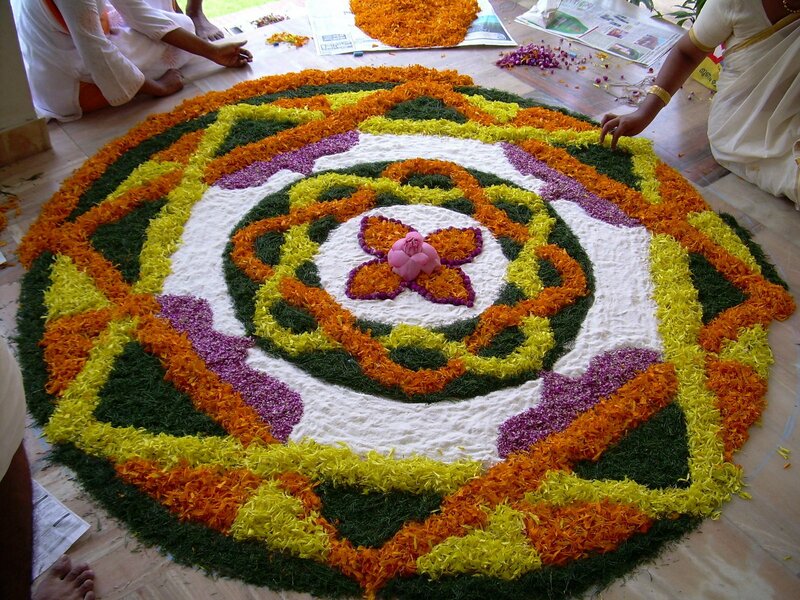 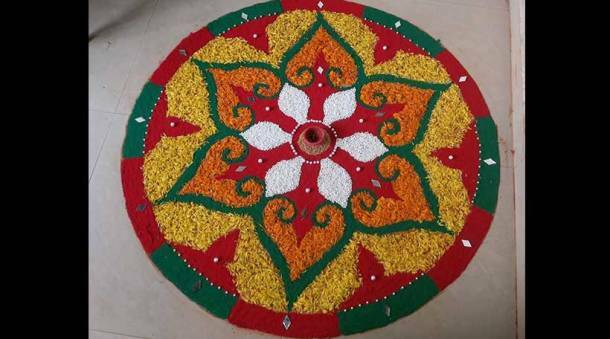 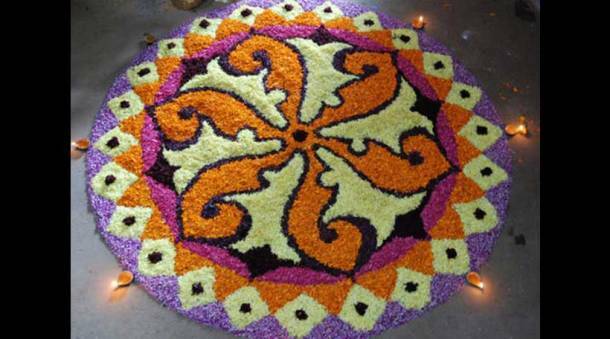 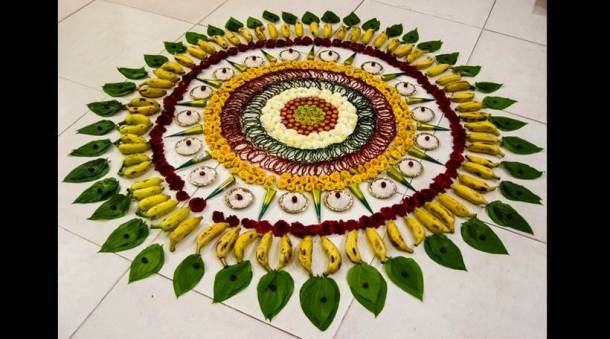 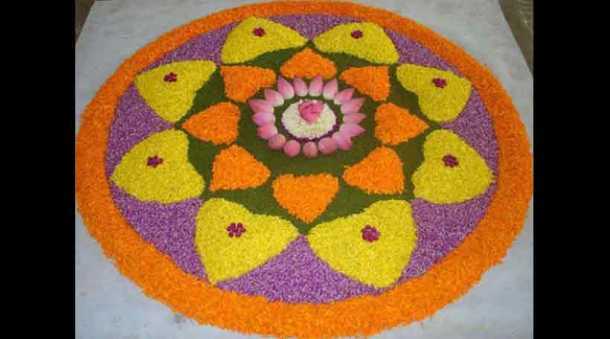 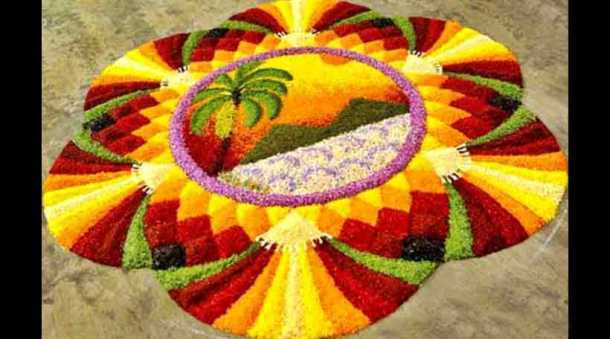 Sometimes flowers are also used to create rangoli designs. 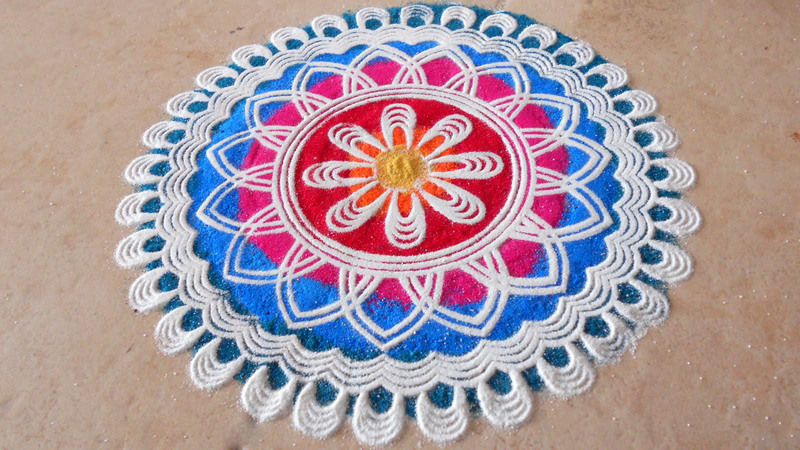 This was the collection of some Best, Easy and Simple Rangoli Designs, Images, Art and Patterns for Diwali (Rangoli Kolam). 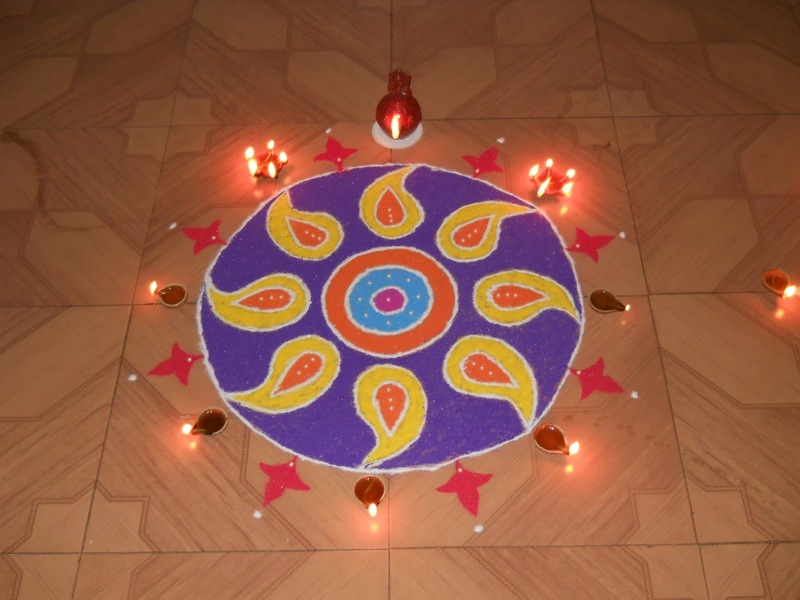 Pls, share with others if you like.